Shortly after tonight's episode of Game of Thrones, HBO released a new preview for this season's fourth episode, "Book of the Stranger", which airs Sunday, May 15 at 9 PM ET. This new preview teases a number of new developments in Westeros, as this new season continues to unfold. If you haven't yet watched tonight's episode, "Oathbreaker", there will be numerous spoilers below, so read on at your own risk. 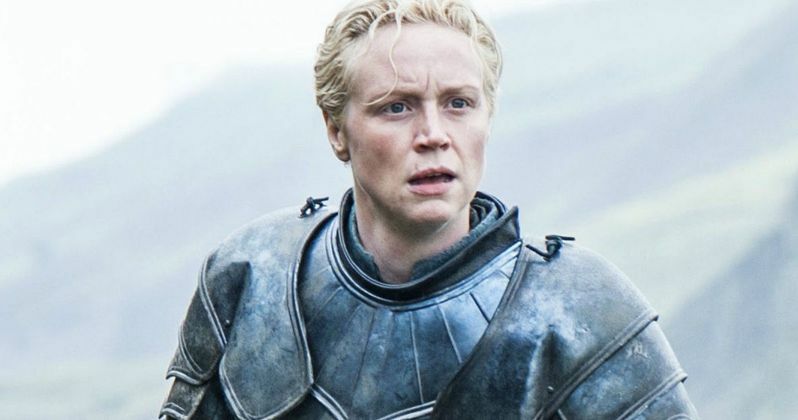 We didn't see Sansa Stark (Sophie Turner), Brienne of Tarth (Gwendoline Christie) or Podrick (Daniel Portman) in tonight's episode, but we see they return in next week's episode in this preview. We learned in the second episode that Sansa has finally accepted Brienne's offer of protection, as they started their journey to Castle Black, so Sansa could reunite with Jon Snow (Kit Harington). This preview shows that they have all arrived at Castle Black, but Jon may not be there when they arrive. At the very end of tonight's episode, Jon Snow executed the four men most responsible for his death, including Aliser Thorne (Owen Teale) and young Olly (Brenock O'Connor). The episode's final moments showed Jon taking off his large coat and giving it to Dolorous Edd (Ben Crompton), telling him that Castle Black is now his, and that his watch has in fact ended. Unfortunately, we don't know anything about where Jon Snow will plan on going at this time, but it's possible he may try to catch up with Samwell Tarly (John Bradley) and Gilly (Hannah Murray), who made their first appearance this season in tonight's episode. The preview also gives us our first look this season at Petyr "Littlefinger" Baelish (Aidan Gillen), who tells Robin Arryn (Lino Facioli) and Lord Yohn Royce (Rupert Vansittart) that Sansa has escaped from Winterfell and that she is in danger. We also see Theon (Alfie Allen) reunite with his sister Yara (Gemma Whelan), although it's not a happy one. Yara tells her brother that she risked everything for him and he betrayed her. We also see what appears to be the start of an alliance between Cersei Lannister (Lena Headey) and Olenna Tyrell (Diana Rigg), who both agree that Queen Margaery Tyrell (Natalie Dormer) must not repent her sins in the city, much like Cersei did last season. This sneak peek end with Tyrion Lannister (Peter Dinklage) telling one of the Meereen residents that Daenerys Targaryen (Emilia Clarke) will return "soon," but that's not exactly the case. In tonight's episode, Dany was taken to the Dothraki capitol Vaes Dothrak to live with the other khal widows for the rest of her life. The preview ends with Jorah Mormont (Iain Glen) and Daario Naharis (Michiel Huisman) spying on this city from afar, with Jorah revealing he knows where they will take Dany. Watch the latest preview from HBO below, and stay tuned for more on Game of Thrones as we prepare for Winter.